What is Dwarf Dutch Rabbit? Dwarf Dutch rabbit is the popular domestic breed of Netherland and as their name express these are the dwarf rabbits with very little size and weight as compared to the standard rabbits. Although now these rabbits are available in various countries and most of the countries have prepared their crosses but new crossed rabbits are not like the original Dutch rabbits. 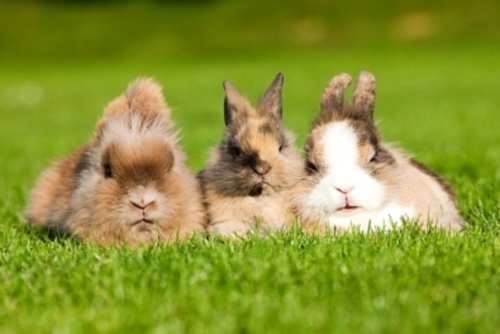 This breed of rabbits is very old as these rabbits were present in Holland in the year 1850 and initially these rabbits were known as Hollander rabbits and kept as pets in the homes. The Dutch rabbits were exported to UK in the year 1864 first time and they gained huge popularity in the markets of UK, therefore Netherland started their export to various countries of world. Dutch dwarf rabbits have different colours but white colour is always present in each rabbit such as if rabbits are blue, yellow, chocolate, grey or black then their half body colour will be white and half contained other colours. The average life span of dwarf rabbits is almost five years but this life span increased or decreased according to the weather of the region and their caring and grooming techniques. Dwarf Dutch rabbit has very attractive and babyish appearance; therefore these rabbits have become most popular pets of the modern era and become the first choice of pet lovers and kids. These dwarves have small erect ears that make them more attractive and their back legs are more strong and long as compared to front legs that help to run them fast or to jump. The average weight of an adult dwarf rabbits will be four to five pounds and their total gestation period will be completed in almost thirty to thirty three days. The fur of dwarf Dutch rabbit will be very soft but you can only keep them as pets because the use of these rabbits to get fur or meat is unlawful because it will be dangerous for their breed as they have very small size and a large number of rabbits have to kill to get meat or fur. These rabbits need proper care and attention because Dutch dwarves are more social as compared to other rabbits and they get bored and annoying without proper attention. Always provide them fresh food and change their food after two days and make some arrangements for their playing and exercises in the cage. Dwarf Dutch rabbit is more active and intelligent as compared to standard rabbits and you can easily train them because they can learn various activities very fastly and you can also get instructions for their training from pet trainers. These dwarves are suitable for the people of any age but do not give them to your children who are under ten years of age because rabbits can vary their friendly nature quickly and they can cause some problems for you and your kids and you can easily purchase them from any pet show or exhibition.